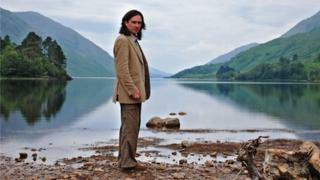 Historian and television presenter Neil Oliver has joined a campaign promoting Scotland as a top location for wildlife watching. He is lending his voice to a new radio campaign as part of a £350,000 drive to showcase Scotland's "Big 5" indigenous animals - red deer, otter, harbour seal, red squirrel and golden eagle. Mr Oliver will highlight the best places to see each of the animals. The initiative is part of the Year of Natural Scotland. The radio campaign builds on online, newspaper and billboard initiatives by VisitScotland and Scottish Natural Heritage (SNH) across Scotland and the north of England. Mr Oliver said: "Scotland's Big 5 campaign is a great way to encourage people to get out, discover and explore the natural world and I'm delighted to join VisitScotland and SNH in their mission to enthuse the country for this, the Year of Natural Scotland." VisitScotland chairman Mike Cantlay added: "This campaign represents one of the cornerstones in the Year of Natural Scotland - a desire to get as many people, especially Scots, embracing their wild side and experiencing Scotland's majestic beauty for themselves." VisitScotland is also asking members of the public to vote for their favourite top five animal, with the winner due to be announced later in the year. SNH chief executive Ian Jardine said thousands of people had already voted for their particular favourite species, whether or not it was in the top five, since the campaign was launched in March. "We've also had encouraging and lively debate in traditional and social media about different plants and animals, with many people suggesting their own alternative top five lists," he added. Mr Oliver is currently the voice of VisitScotland's Surprise Yourself campaign, which targets the UK and Ireland market. He has also lent his voice to a Disney/Pixar and VisitScotland advert promoting the movie Brave, which aired around the world last year.